My sister and I spent many a summer day as kids making sand art. 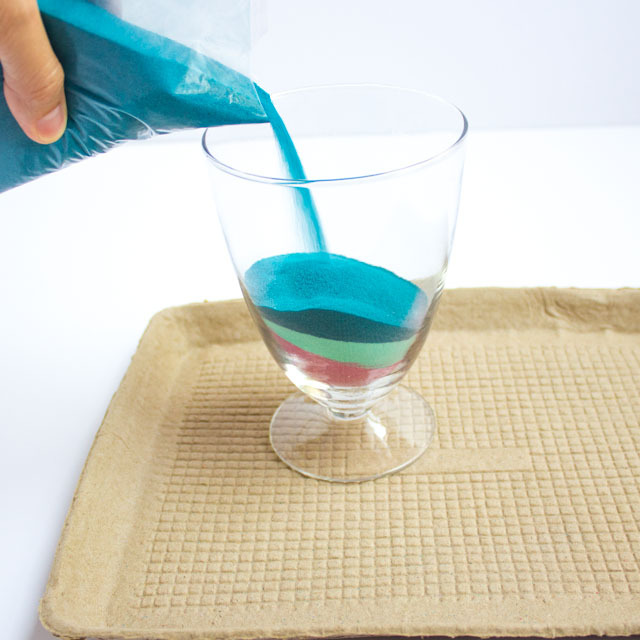 Except since we didn’t have sand, we used table salt colored with food coloring! 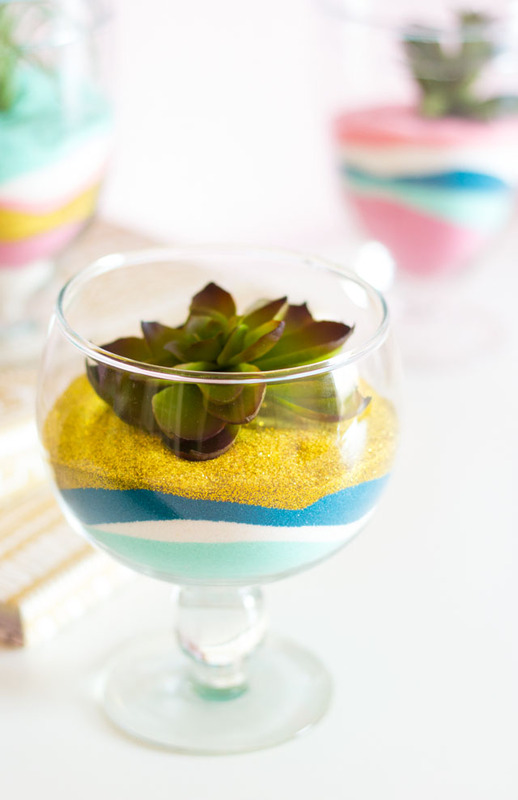 It created the same pretty results as colored sand does today and we would spend hours filling up little jars we found around the house with our layered “sand” art creations (check out some of the craft projects we made as kids!) 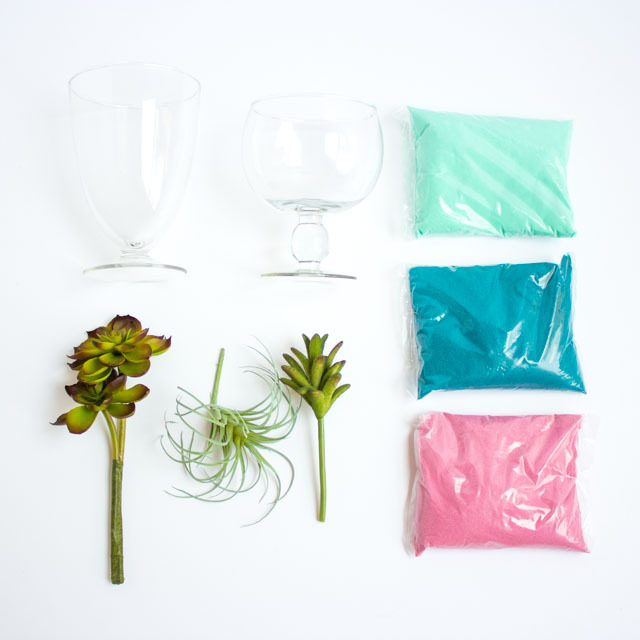 These DIY sand art terrariums are a nod to my early days of crafting with a modern color palette and a succulent touch! I used a set of 3 glass jars and colored sand from Oriental Trading for this project. 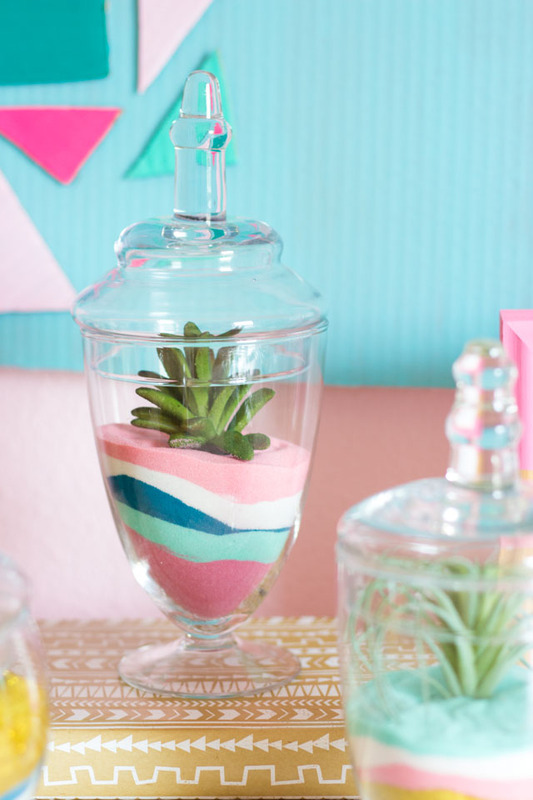 These jars are so versatile – I have also used them to make these cute candy terrariums for Easter. The faux succulents I found at Hobby Lobby could totally pass as the real deal and don’t require watering. Score! 1. 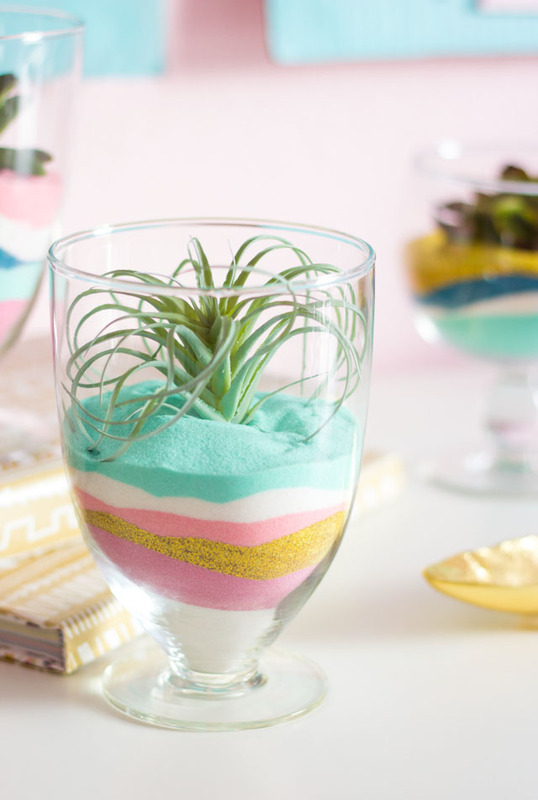 Pour the sand into the jar, adding a layer at a time. 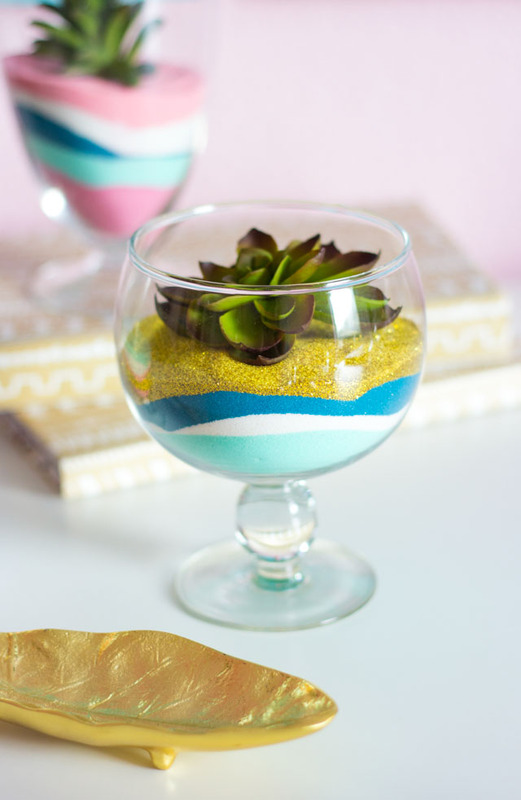 You can pour it against the side of the jar to vary the height of the sand. I filled each of my jars about 3/4 full with 4-5 layers of sand but you can make a bunch of thin layers as well for a more intricate design! 2. 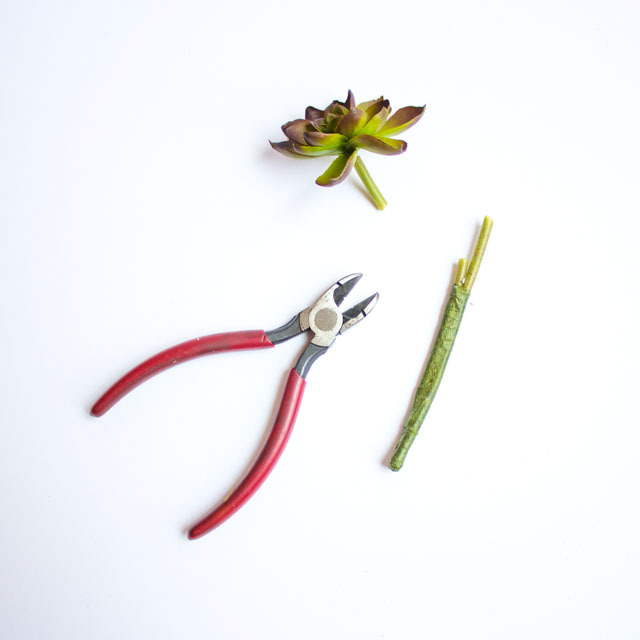 Cut the succulents from their stems using a wire cutter and insert into the top of the sand. These look pretty from all angles! 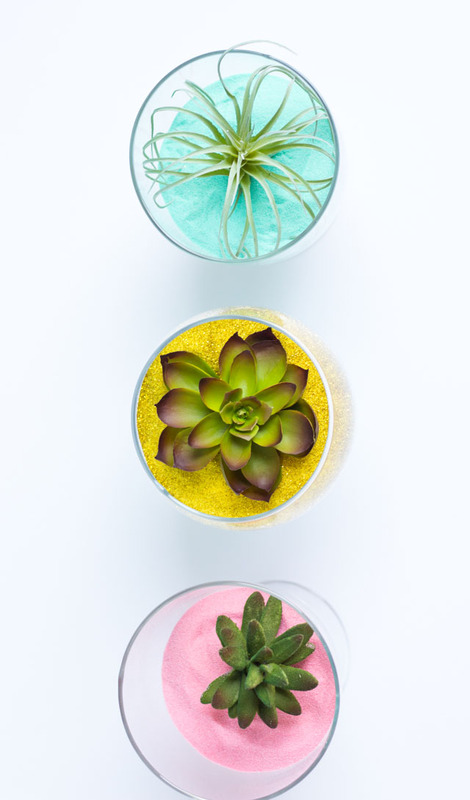 You may want to keep the tops off the jars to really show off the succulents. 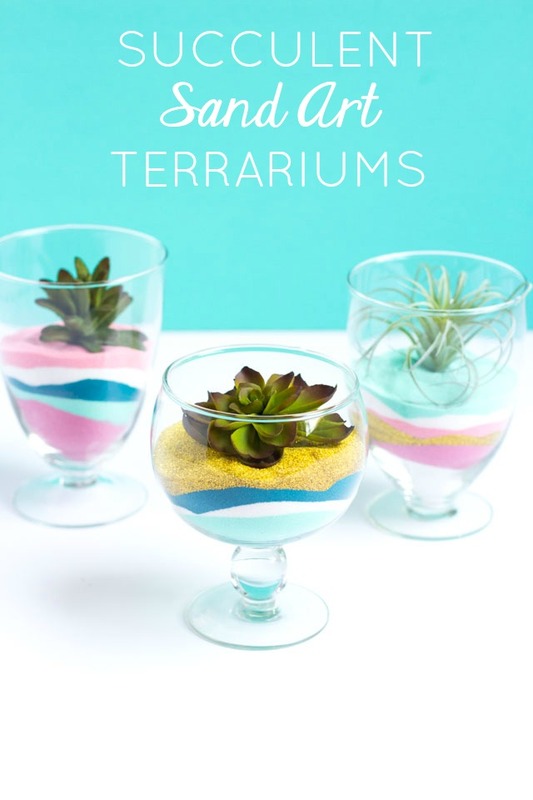 Thank you to Oriental Trading for providing the sand and glass jars for this post!